Bees are busy doing there thing and its looking like it will be a great year again! Lost more hives later in the spring, the price you pay i suppose for organic beekeeping, speaking with my beekeeper sensai John, the mite load seems to be too much for most hives, they just can’t keep up. All of the moisture Early on also made us see a lot more chalk brood than usual as well. All that said, the hives that are still going are going strong! 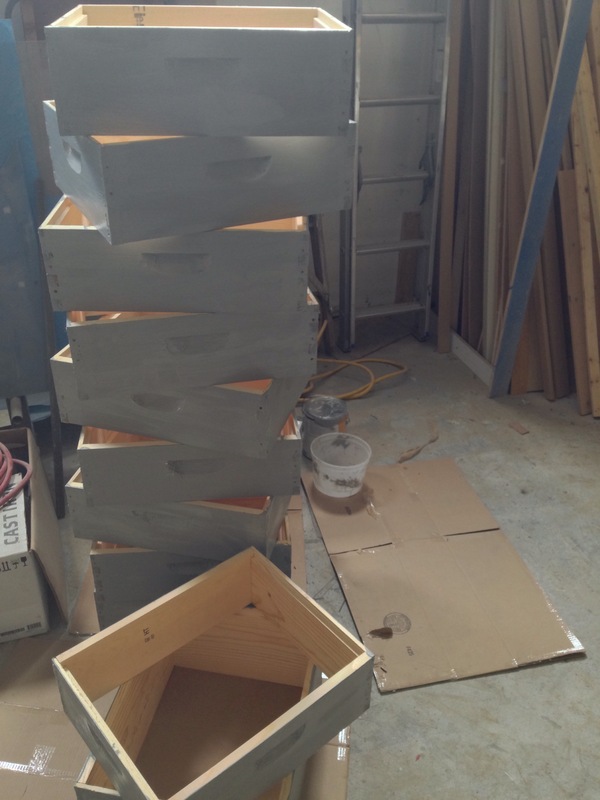 we had the good fortune of catching two wild swarms this year and already we have honey boxes on top of them! this is great as we are diversifying our genetic strains and adding to them wild swarms that are most likely mite resistant! Great! We have harvested just over 400 lbs so far and looks like much more to come! 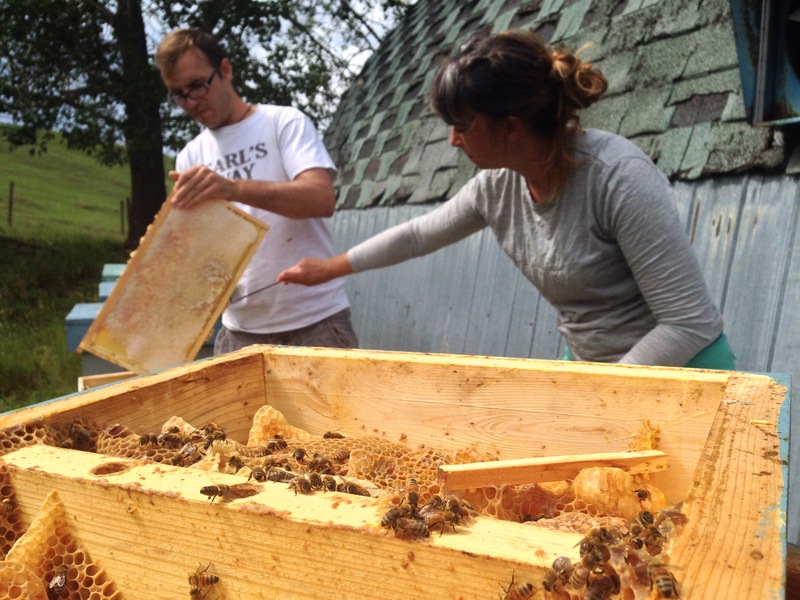 Excited about open Farm days coming up August 21st sunday from 11-6 come on out to the hive and see what we do! 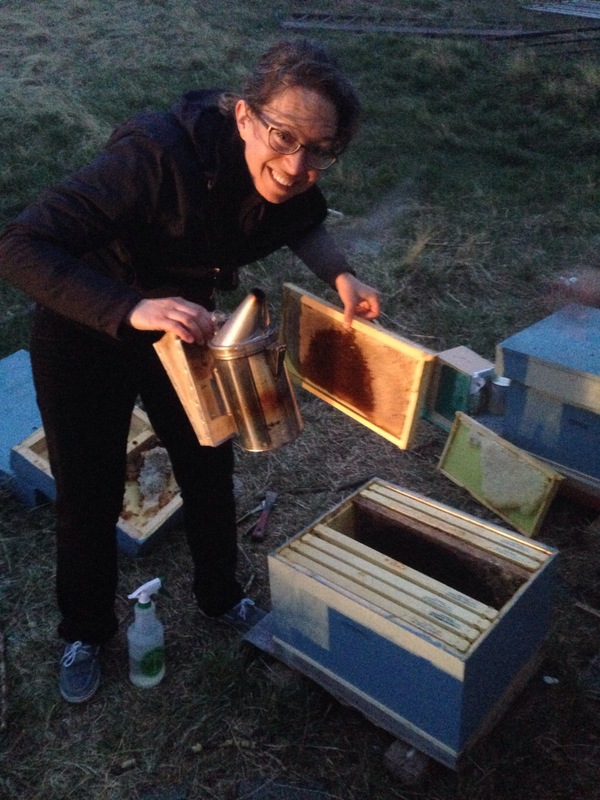 there will be some free honey tasting as well as on site extraction and hive demos. hope to see you out there! Last call for pre ordered honey! 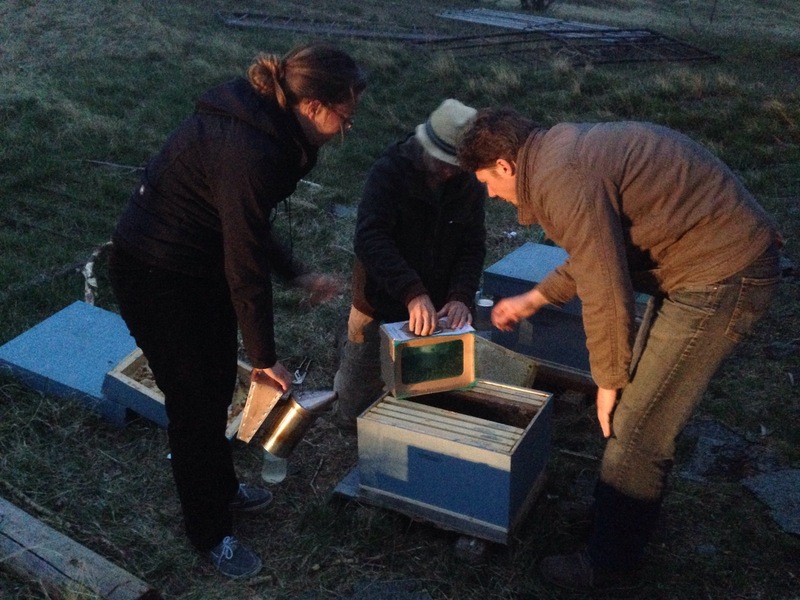 Excited to report the anticipated survival of the majority of our hives! 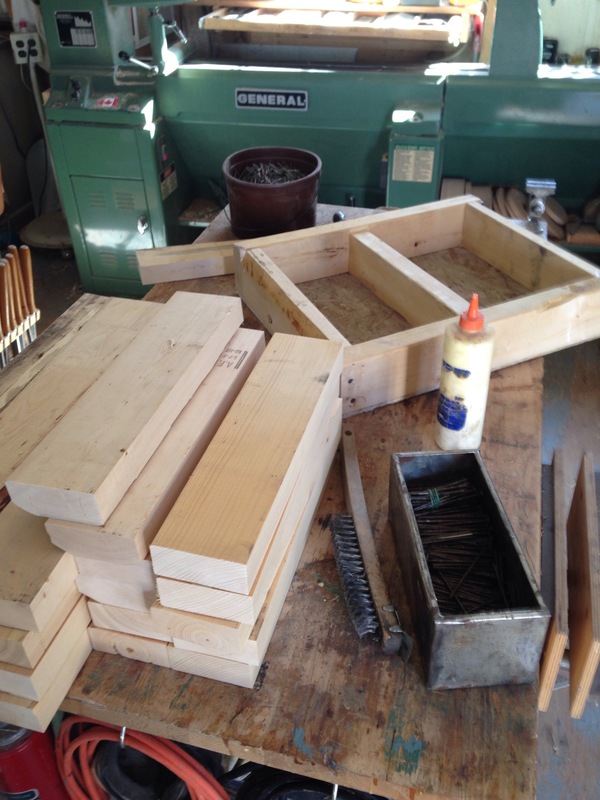 You never really know how the bees are going to handle another alberta winter, and when Kelsey and I first wrapped our hives last fall we had no idea what we would be finding come March. 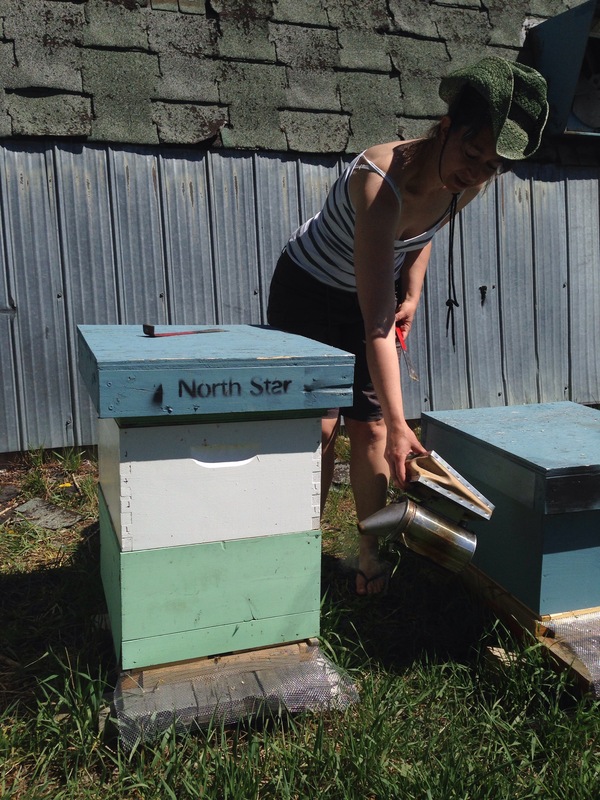 Being cautious and wanting to be certain that our lovely ladies would have enough food to get through the potentially long and cold alberta winter we decided to leave an extra box of honey on each hive. 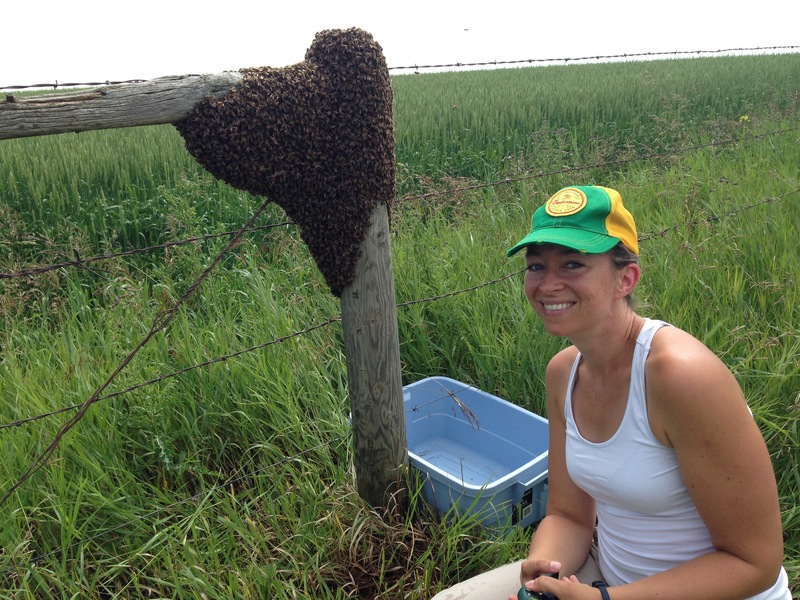 Fast forward to now it would seem we were over cautious but better that way than having hunger issues be on top of the already precarious survival conditions of the Alberta bee. 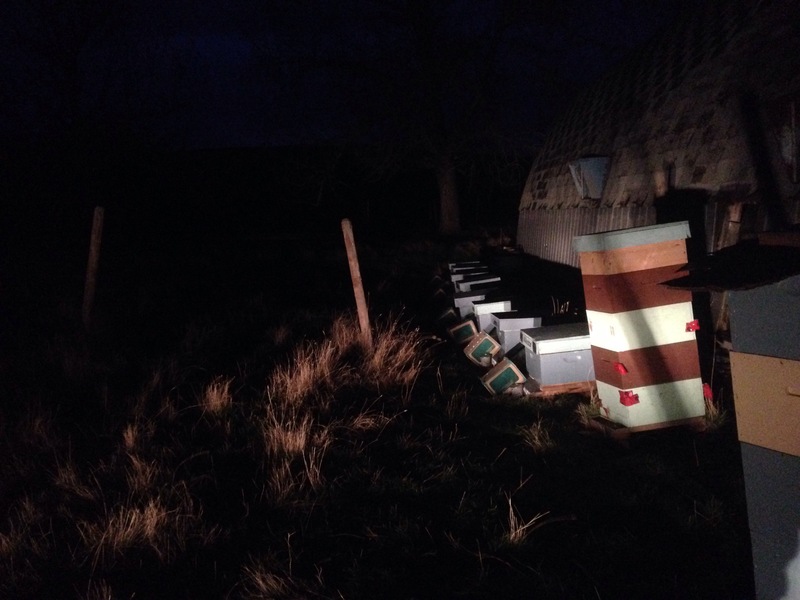 When we went out to check on them just after Christmas we were thrilled to find every hive still buzzing happily inside their Christmas wrapping. So we are now taking pre orders for honey! Even though the cost of bees has risen over 10% we are keeping the bulk pricing for honey at this time the same as last year. Please comment if you are interested in more details! The bees have been hard at work this last while and so have we! 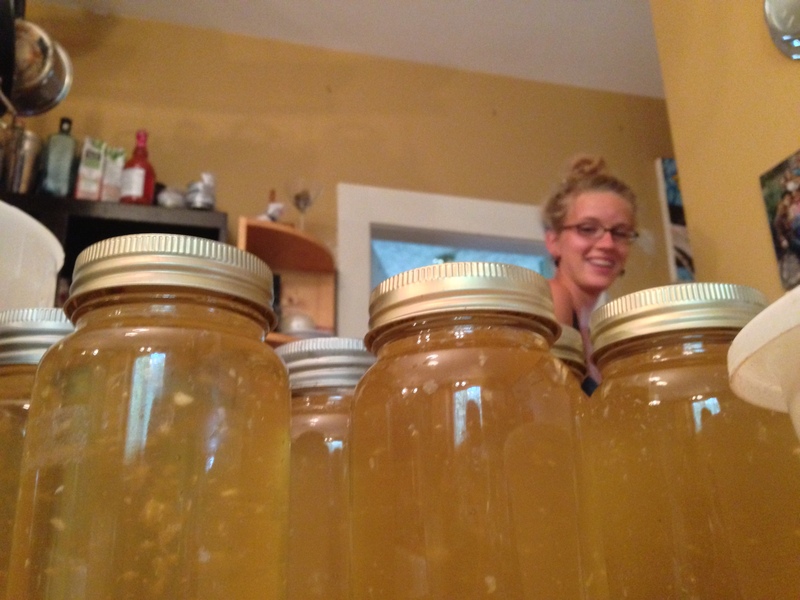 Extracting honey almost every week now. 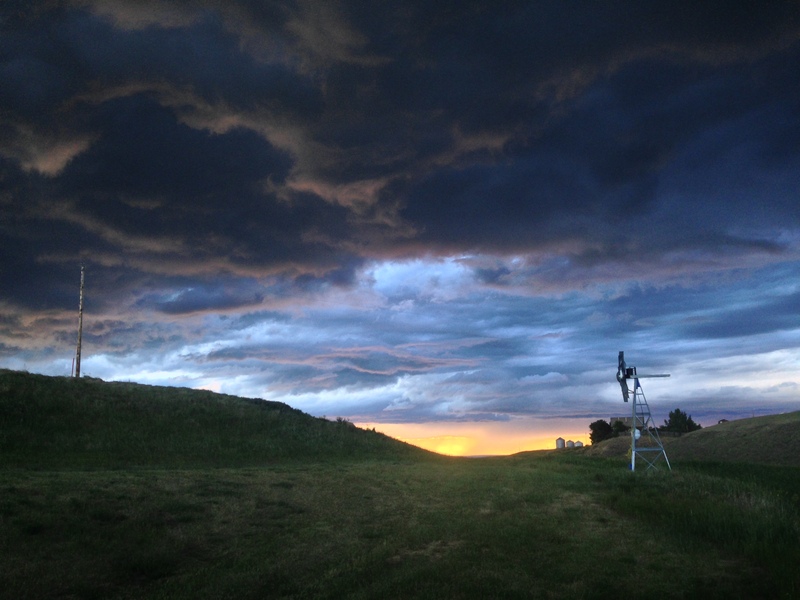 The rain sto me have been coming at just the right times and it is looking like another great year. 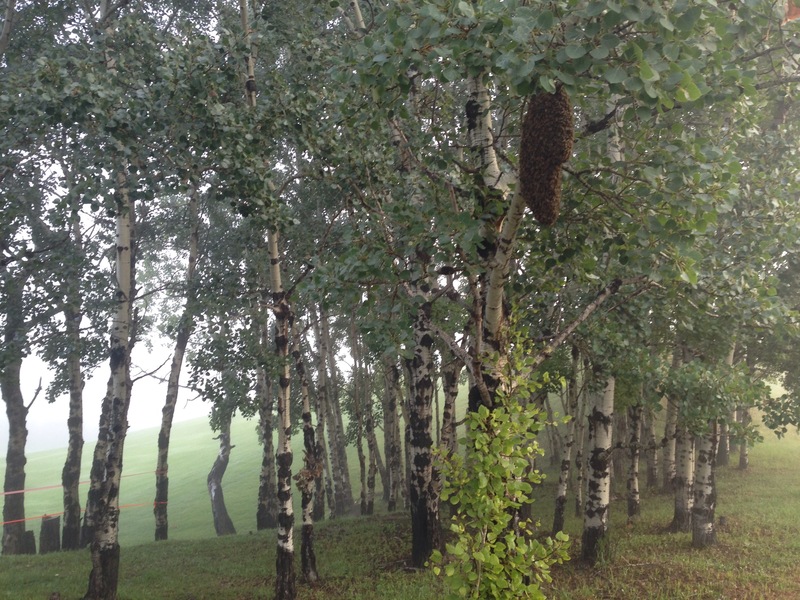 We received a face book message two days ago about a swarm at the golf course and luckily I was able to get there and collect it before it flew away. Glad to say these lovely ladies are safe and sound in their new home and seem to be doing well. 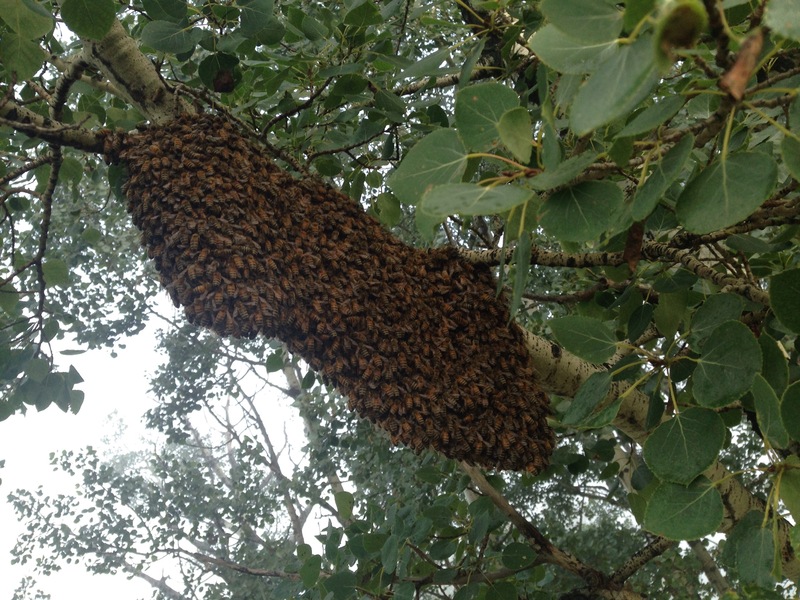 Always great to catch a swarm and introduce new breeding stock to the bee yard! Getting ready for the honey flow! Well we are all happy for the rain! 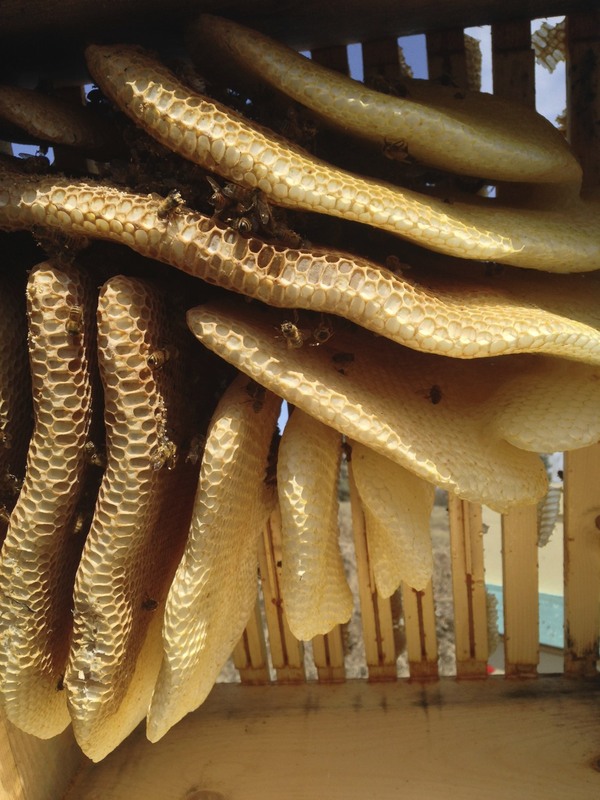 It was looking a little rough there and there was concerns about honey being produced this year at all! But. It rained. Flowers are doing well. Fields of clover popping up and looking like it’s could be a good year again! 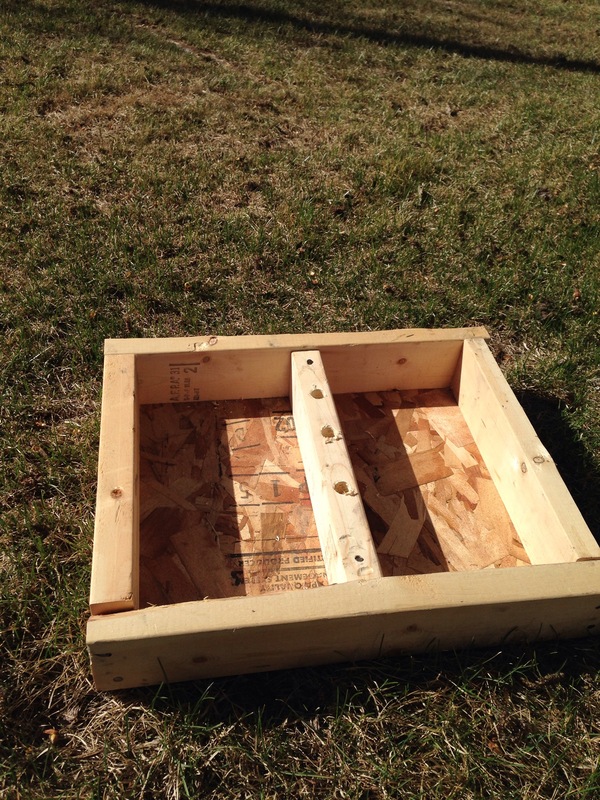 So I had to get boxes built so the bees would have somewhere to put it! 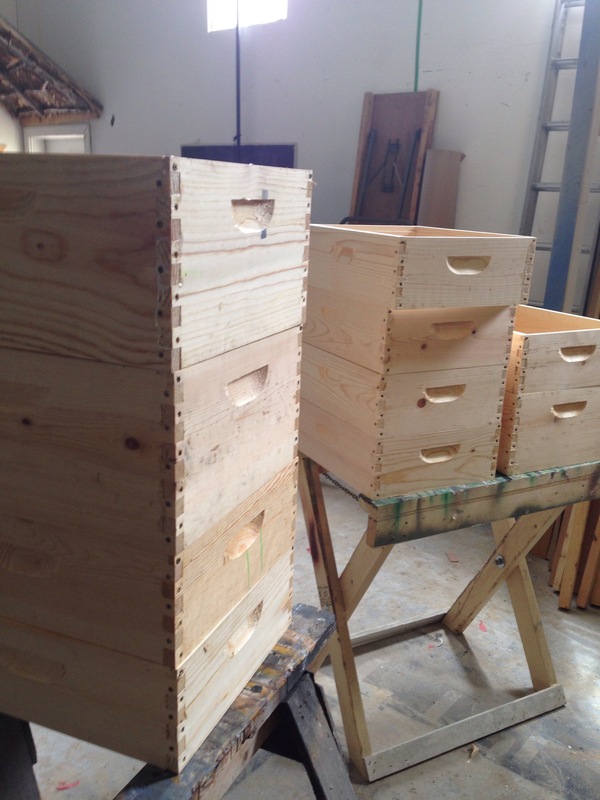 Went to check on hives today and found 8/13 needing new boxes! This is great news! Now we just need a little more rain to keep them flowers blooming and plants growing. 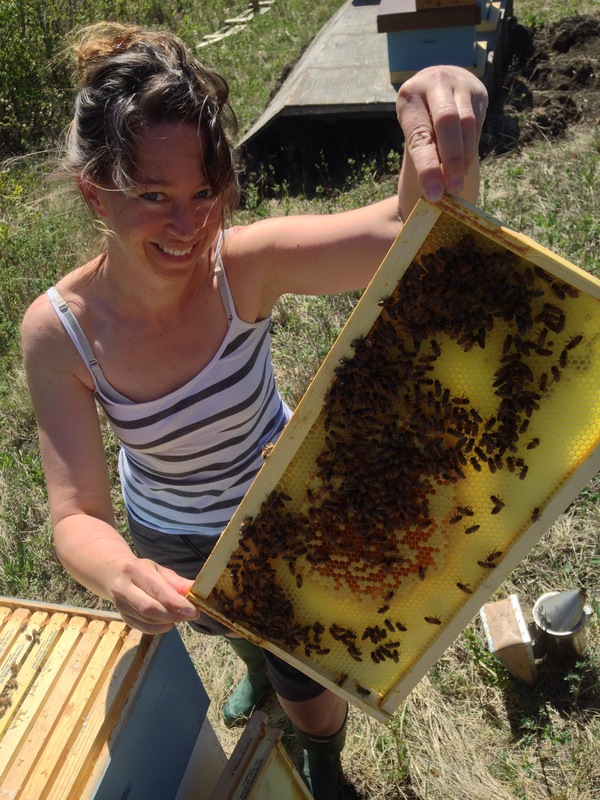 Kelsey looks over a frame of brood and pollen. The queen has already laid a batch of eggs on this one! The lighter brown on the comb is baby bees nearly ready to hatch! 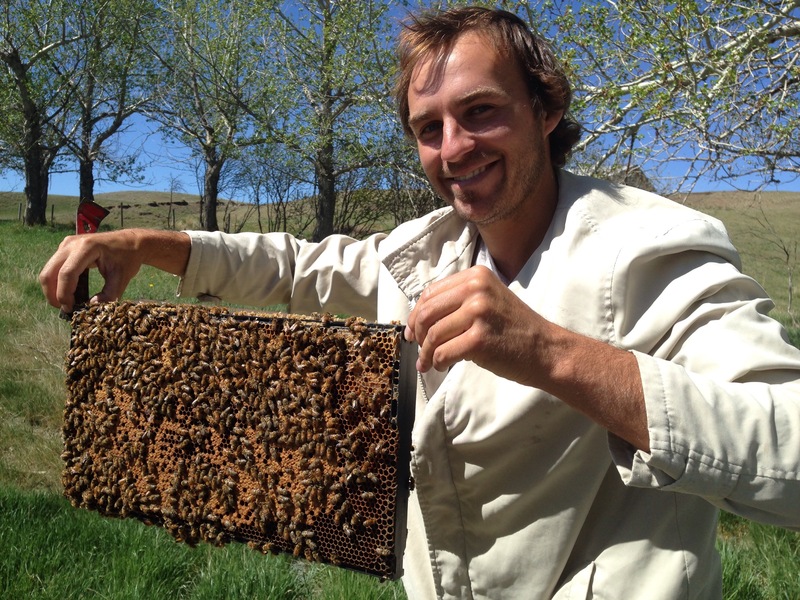 Best to be gentle when moving a thousand bees around. A peice of empty comb we found up in the feeder. It was full of last years honey as food for them when we put it in. As you can seen they cleaned it out! Just a little smoke to keep them calm. All things ready. Let’s do this. After lots of prepping and waiting. The bees arrived! And we had all their homes ready! 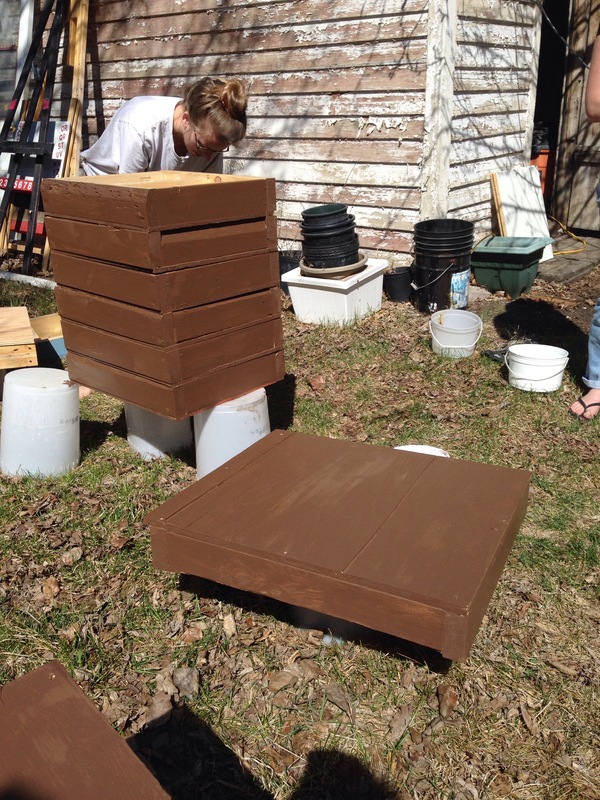 We will be painting names on them in near future for those new folks who got to name their hive for the first time! 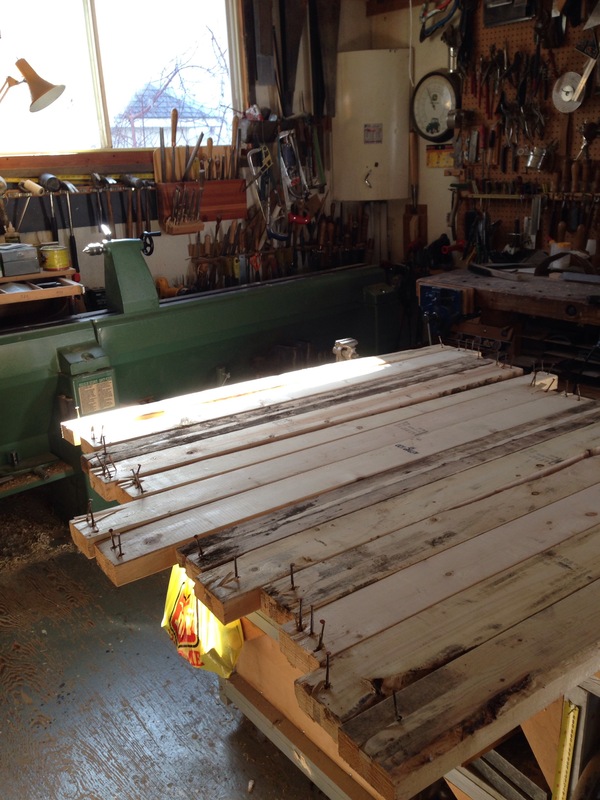 Here’s some pics of some of the work. We are more than excited to be the official suppliers of Honey for “15 Minutes of Fame” Rosebuds own music festival! 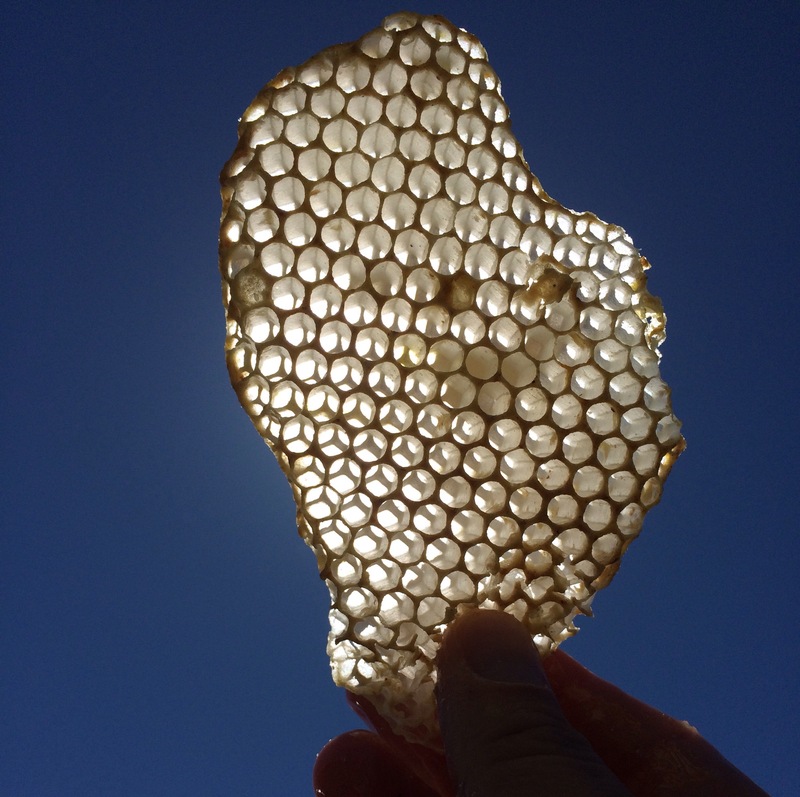 Be sure to come by and try some of our fresh honeycomb, cut out of the hive and served to you. Simply wonderful.